Computer Architechs International Corp. (CAI) and IQubz LLC in partnership with Scribe Software discussed the development and deployment of two-way data integrations between Microsoft Dynamics™ CRM and IBM® Domino® (Lotus Notes® and Domino) during a webcast on Wednesday Sep. 10 at 10:00 a.m. PST (1:00 p.m. EDT). 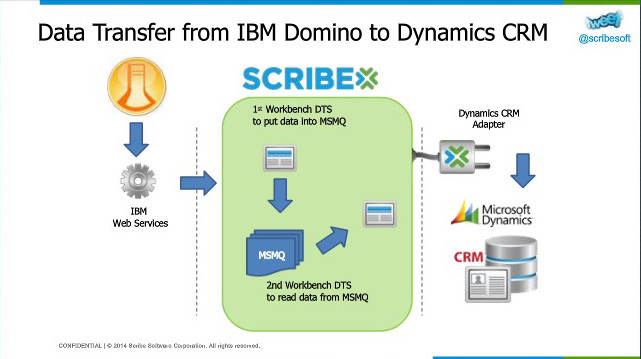 In the webcast, CAI and IQubz highlighted how they used Scribe Insight, a data integration and migration tool for mid-market and enterprise business, for their phased development approach utilizing a combination of IBM and Microsoft web services for full bi-directional data flows. 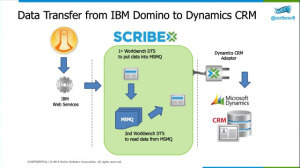 The web service integration made consistent information readily available to the users of both applications, IBM Domino and Microsoft Dynamics CRM, without the need for redundant data entry. The two companies teamed up and developed the solution from 2011 – 2013. The solution is fully customizable with respect to the entities and fields as well as the data integrations aspects of queuing, action (create, update or delete/deactivate), direction, frequency and error-handling.